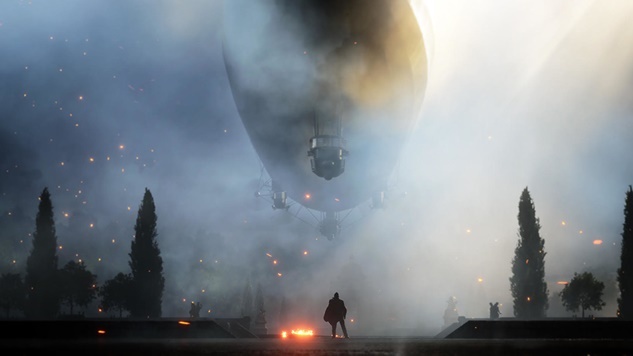 It appears that another heavy hitter in the FPS world, EA DICE’s Battlefield V, is contemplating the addition of a battle royale mode. According to Gamesbeat, sources with knowledge of the studio stated that the developer is currently testing a battle royale mode featuring similar gameplay to progenitors PlayerUnknown’s Battlegrounds and Fortnite: Battle Royale. The news comes one day after sources within Treyarch reported that the studio is working on a battle royale mode for Call of Duty: Black Ops IIII. It comes as little surprise that the two most widely known and successful FPS franchises would want to jump on the battle royale trend. Both PUBG and Fortnite have enjoyed massive success and popularity in the past year, increasingly topping their own marks in Twitch views and player counts. The mode remains in testing as the studio decides whether to greenlight it for its forthcoming World War II shooter, which makes it unlikely that the mode would make it into the game at launch if approved. If the mode does get the go-ahead, it could reportedly be added to the title as a free post-launch update for all players. On the other hand, the studio could hold onto the mode for inclusion in a later title. If included, a battle royale mode could offer something fresh for players as the franchise returns to a World War II setting that already feels a little tired following last year’s release of Call of Duty: WWII.